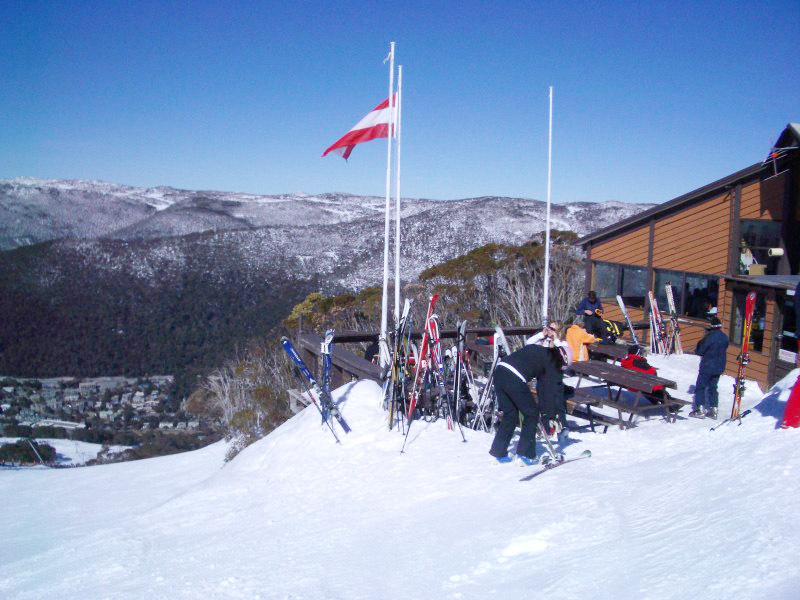 Discover Thredbo Rewards – Welcome Back !! 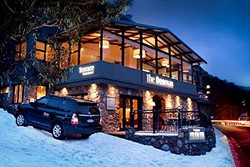 The diversity and quality of Thredbo’s cuisine scene is a prominent part of its appeal as a year round travel destination. While food writers are constantly praising our restaurants, families on a budget will also be pleased with the variety of outlets offering quality meals at affordable prices. There are over 20 restaurants in the village, covering cuisine from all parts of the globe and most are open 365 days of the year. 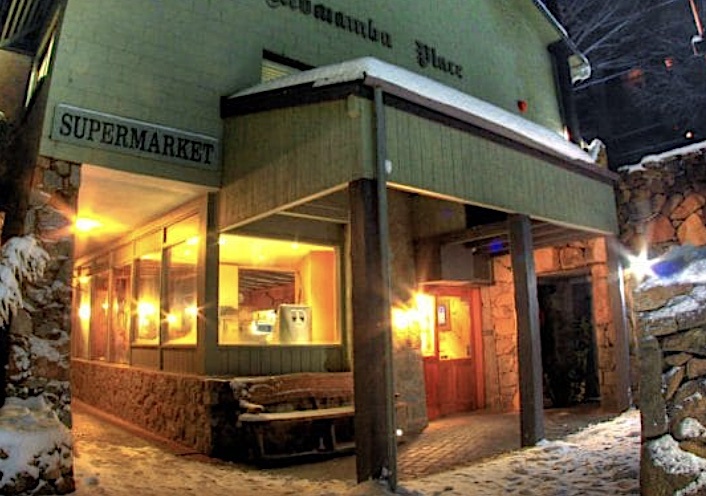 Despite being many miles from the sea, the seafood in Thredbo is of the freshest and finest to be found in Australia. Feast on prawns or oysters or enjoy the local snowy mountains trout which is found in a number of restaurants such as Knickerboker, The Terrace Denman, Tbar, Santes and Altitude 1370. Local specialities include some of the best duck you will find anywhere, venison and the snowy mountains trout cooked every which way. 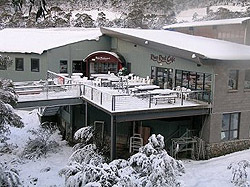 Located on the lower concourse of the Thredbo Alpine Hotel, this popular Italian eatery with an open kitchen is BYO. Traditional pizza menu, with all the usual favourites. Choose to eat in, take away, or arrange home delivery. Mediterranean style Cafè by day and BYO restaurant by night. Specialising in home baked delights and coffee. The Bavarian Beer Hall is renowned for it large selection of Local and Imported Beers, both on tap and bottled, from the extremely smooth, refreshing dark lager that is Kostricker to the more subtle pale gold lager with a herbal, creamy texture called Spaten Munchen and one of our favourite wheat beers, Franziskaner Hefe-Weissbier. Our Beers can cater to any palate. The Black Bear's restaurant atmosphere makes customers feel like they've been going there for years even if it's their first visit. 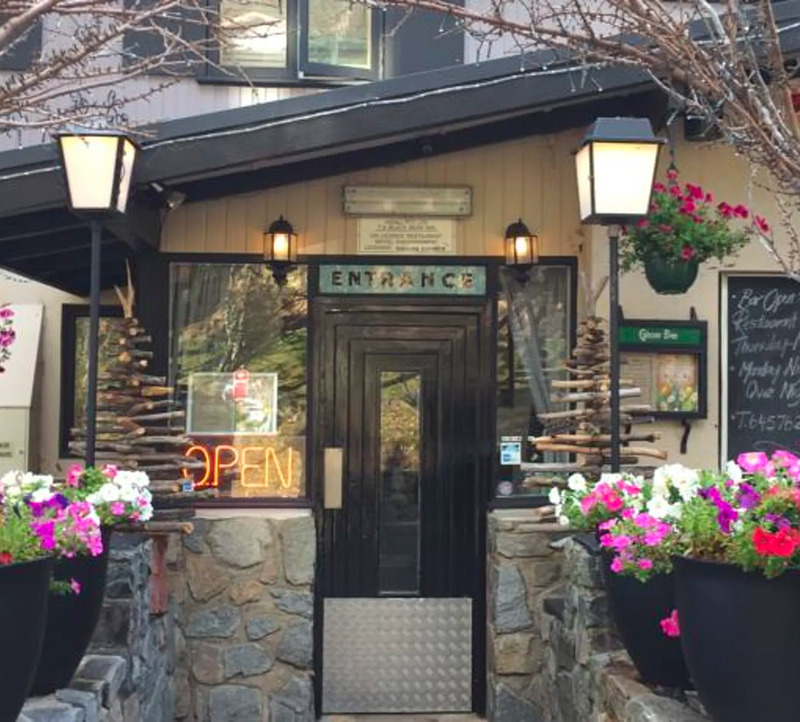 The inviting restaurant was established in 1957 by Max and Emma Sommer, who have since retired but their German and Austrian recipes live on and their most famous creations are still for sale. Your central village destination, offering an eclectic mix of options with a modern twist on some classic old-time favourites. 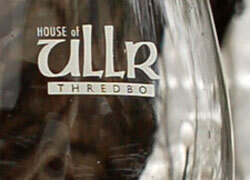 The House of Ullr Grill is a contemporary style restaurant offering relaxed casual dining, a selection of good quality steaks, chicken, lamb and seafood, all grilled to perfection. A childrens' menu is available and we are fully licenced offering a good range of beers, wines, spirits and schnapps. The modern a la carte Australian menu has a European influence and is accompanied by a large range of schnapps. Drop in for breakfast, cake, coffee or a long lunch, but remember you are still half way up the mountain and you have to get down to the village! European mountain food, great beer, fantastic wine and, of course, the finest schnapps in the mountains! Meet for aprés in our bar as the sun sets over the resort. Enjoy one of our fine German beers on tap, a Wildbrumby schnapps, a Glühwein or a special coffee or hot chocolate. 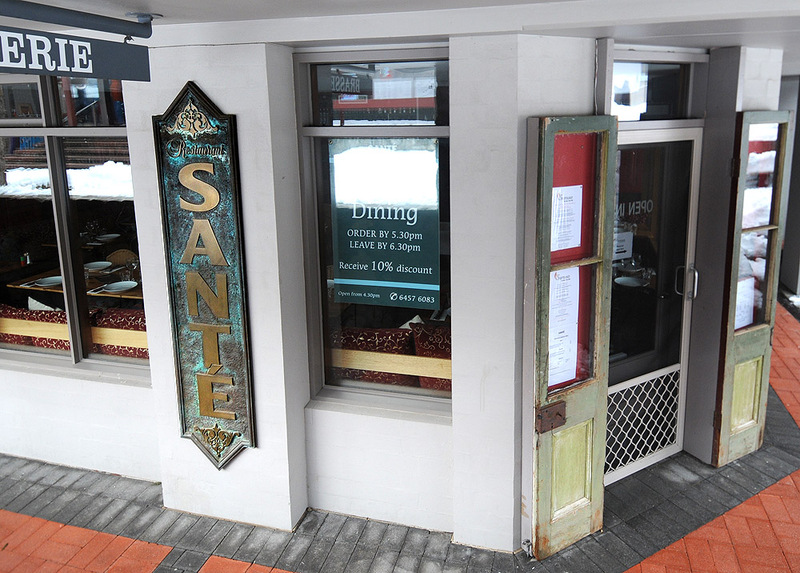 The Santé Churrasco Restaurant is located in the heart of Thredbo and offers a truly memorable alpine dining experience. The food, wine and welcoming service will quickly seduce you into forgetting about those aching muscles. The restaurant has an extensive wine list to enjoy. The staff are exceptionally friendly and work hard to create a relaxed atmosphere and provide the most memorable dining experience in the mountains for you. 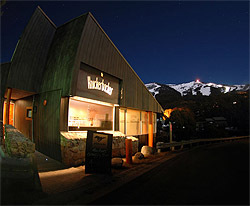 The cuisine is modern Australian and the T-Bar is famous for their char grilled steaks and their gourmet wood fired pizza. .
Against the stunning backdrop of the Snowy Mountains, with floor to ceiling windows ensuring every seat has a view, sits the regions finest restaurant, the award winning Terrace Restaurant offering a unique and elegant dining experience. My family liked it very much. Good facilities in the apartment. This has been the easiest accommodation booking and check in I have ever encountered. The accommodation was more than expected with excellent service, beautifully appointed, excellent facilities and hassle free. Highly recommend this property and booking service. Always a pleasure to stay . The property was clean, warm and very convenient for our needs. We thoroughly enjoyed our stay in Thredbo at Aspen Creek 3. We will definitely stay there again. Thank you. Thanks for the welcome pack of wine, Nespresso and the jacket. Liked the proximity to the shuttle buses. Plenty of heating and nice linen and pillows. The property was lovely and we really enjoyed our stay. The property was lovely and spacious and we'd definitely stay there again! Had a little trouble when opening the door as I didn’t realize I needed to lift the latch before pushing it down to open the door, but I figured it out in the end. Fantastic property, cannot wait to come back again. Excellent location. Loved that we could book apartments A and B for our guests but still felt connected. Excellent layout for larger groups. Aside from the fridge perhaps not being as cold as it should be, and a few lights not working, our stay was fantastic. We would definitely come back to the same property and definitely use your company again - the staff were excellent! SMS door code and no keys. Powder 3b is a beautiful property in a great position for beginners due to the proximity of Friday Flats. The kitchen requires the basics for cooking salt, pepper and oil. A coffee machine and coffee would be great also. Great accommodation and very helpful staff. The online checkin with the SMS door code is the best - secure and no keys. Good value for money and excellent location. Our thanks to the owner for making Bollygums available for us ! The key code concept is great. Glenn provided great help to work out what we needed for a our first trip and his advice was spot on! Very easy system to work with. 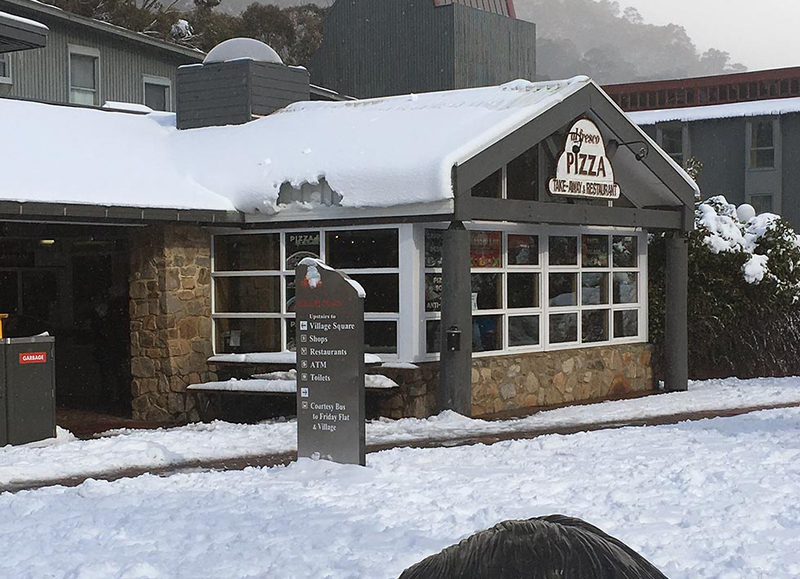 This was our first trip to Thredbo and it all worked so easily from the accommodation being within walking distance of Friday Flats and it was so well set up with the little things like glad wrap, dishwasher powder - we loved it!